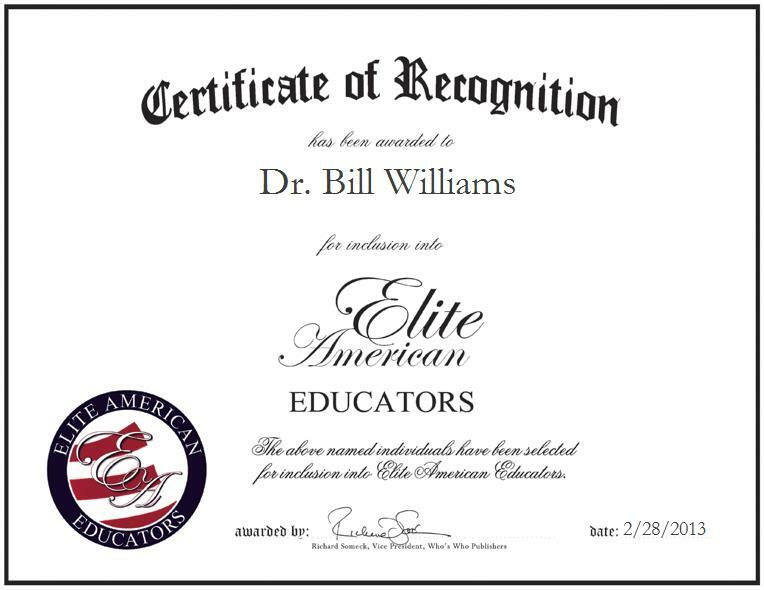 Dr. Bill Williams is the Director and President of the Canyon Institute for Advanced Studies. In his academic leadership role, Dr. Williams makes the most of his expertise in mathematics instruction and research, as he is primarily responsible for writing and reviewing articles, compiling a list on topics to retrieve information for writing articles, and conducting research on mathematics. He also edits, prints and sends materials for publication. With more than 48 years of professional experience under his belt, Dr. Williams shines as a luminary in his field, after having pursued his current career path once he conducted research and found innovative methods to teach mathematics. He holds a Bachelor of Science in Theology and Mathematics Education from Grand Canyon University in Arizona, a Master’s Degree in Theoretical Mathematics from the University of Illinois, and a Doctorate in Mathematics Education from Arizona State University.